A lot of industries have trade shows, some more than one. Most are usually meet and greet events, gatherings where people schmooze, where new products are introduced, and where the press and the public informed. The events provide a platform for marketing and a forum for companies to take a closer look at what their competitors are doing. For the $40billion dollar video game industry, the annual E3 Media Summit is the biggest of these shows (The broader annual Las Vegas Consumer Electronics Show notwithstanding) and its happening this week in L.A.
For 14 years, gamers and game makers have flocked to Southern California to browse the booths and presentations. In 2006, the audience peaked at more than 60,000 visitors. Last year, however, members of the Entertainment Software Associate voted to change the format. The public was excluded. E3 went from a open big top to an industry only event. Now about 5,000 retailers, analysts, press and industry representatives are invited to attend. The smaller scale has turned the event into what amounts, largely, to a media showcase. 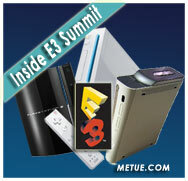 E3 has become an opportunity for each company to reveal their prototypes and products, or to plug their performance. It’s a week of overlapping press releases, announcements and proclamations. Going through the list of major companies here in part one of two parts are some of the highlights – the new products and the new software gamers can look forward too. •Wii Music – taking a casual games approach to the genre dominated by Guitar Hero and Rock Band (see below), the Nintendo game will not include a special attached peripheral. Instead, the Wii music outlet will let up to four people play as many as 60 virtual instruments using standard Wii controllers. Tap the balance board to simulate drums, or blow in to the remote’s speaker to simulate playing a saxophone. Designer Shigeru Miyamoto explained “most music games require you to press buttons with precise timing to symbols on the screen… Wii music [is designed] to allow everyone, including those who can’t read music to enjoy the experience.” It’s a mass market, casual gaming approach to the genre. •Wii Motion Plus – The Nintendo controller was, and remains, ground breaking. Its simple motion-control system freed the gaming interface from the traditional joystick and made video games accessible to an expanded range of customers. The sensitivity of those controls will improve with Wii Motion Plus, a small accessory that will plug into the base of the controller to improve its performance. It will release in the spring 2009 and be bundled with a Wii Sports title that includes beach-themed mini games. •Wii Speak – Nintendo will introduce a TV mounted microphone appliance that will allow players to communicate with others across the network verbally. The peripheral will be compatible with upcoming software title Animal Crossing: City folk. That game was a hit on the DS and Gamecube and will now debut on the Wii in time for the holidays. •Mario and Zelda games – fans expecting new installments of Nintendo’s best selling character series’ were left wanting with no official news but Nintendo’s Satoru Iwata did confirm new titles are in development and on their way. He just didn’t say when to expect them. Expectation is Spring to Summer 2009. •Grand Theft Auto DS – surprising some, Rockstar Games will create a DS version of the Grand Theft Auto franchise called Grand Theft Auto: Chinatown Wars. •Playstation Network – effective immediately, PS3 owners will be able to buy and rent TV shows and movies (both standard and HD formats) through the console’s network connection. MGM, Lions Gate, Warner Brother’s Disney, Paramount, Fox and Sony Pictures have all partnered to deliver content. TV Shows will be priced at $1.99. Movies will rent for between $2.99 and $5.99 or be sold for between $9.99 and $14.99. The content will also be portable so buyers will be able to move it to compatible portables (presumably, this will be Sony made devices only). 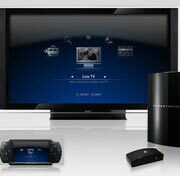 •New Sku for PS3 – With more capacity a necessity as Sony moves to turn the PS3 into a multimedia platform, Sony will launch a new 80gb PS3 in North America for the fall. It will be the same as the current 40GB model and have no backward compatibility with PS2 titles. The unit is expected to sell for $399. Sony will likely push the model and phase out the smaller capacity console. •Software – Sony largely played it safe in their presentation but the company did offer some peeks into what to expect in the year. Attendants at the press showcase got first looks at a superhero game called DC Universe Online and a first person shooter from Insomniac Games called Resistance 2. Sony also confirmed a new installment of their God of War franchise is in the works as is a console based massively multiplayer game that promises to allow as many as 256 people to simultaneously interact in the same game space (current networked console games top out around 50 people). Like Nintendo, one of the big bullet points in Disney’s upcoming software pipeline is music games. Coming later in 2008, Disney will release “Disney Sing,” a karaoke style game featuring hits from Disney franchises in time for the holidays (to be sold in Xbox 360, Wii, PS3, PS2 and PC versions). The company will also debut a peripheral free music title called Ultimate Band (Wii, DS). Lastly, a musical title built around their High School Musical franchise will hit the markets for both console and portables. Other planned titles include a Club Penguin game for the DS and an off road racing title for the major consoles. The smaller publisher is getting creative, and culinary, with a cooking title for the DS featuring TV chef Jamie Oliver. Slated for the Nintendo DS, the game called What’s Cooking? will pair a cooking game with an interactive cookbook. It’s scheduled for an October North American debut. 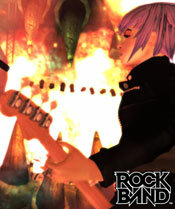 •Rock Band 2 will be the first and only game to feature music from AC/DC. It will also feature music from Bob Dylan, a first for gaming, and be the debut platform for a new Guns and Roses single (the first release from the band in 14 years). • Rock Band 2 will be backwards compatibility with all Rock Band downloadable music content released to date. Owners of the original Rock Band will have the ability to export most of the Rock Band disc tracks and upgrade them into Rock Band 2. There will be a small fee charged to export the titles but it’s promised to be under $5. • Ongoing weekly downloadable releases will push the Rock Band music library to more than 500 songs by year’s end.